FX is fitness simplified. It offers a best-of-both-worlds: a combination of road bike speed and city bike comfort and versatility. It’s a perfect fitness bike, and so much more. The FX2 is versatile and a great value to boot. With the lightweight frame, semi-skinny tires, plenty of speeds, and incredible accessories, this bike is perfect for riding to work, cruising with your family, or riding on loose terrain. 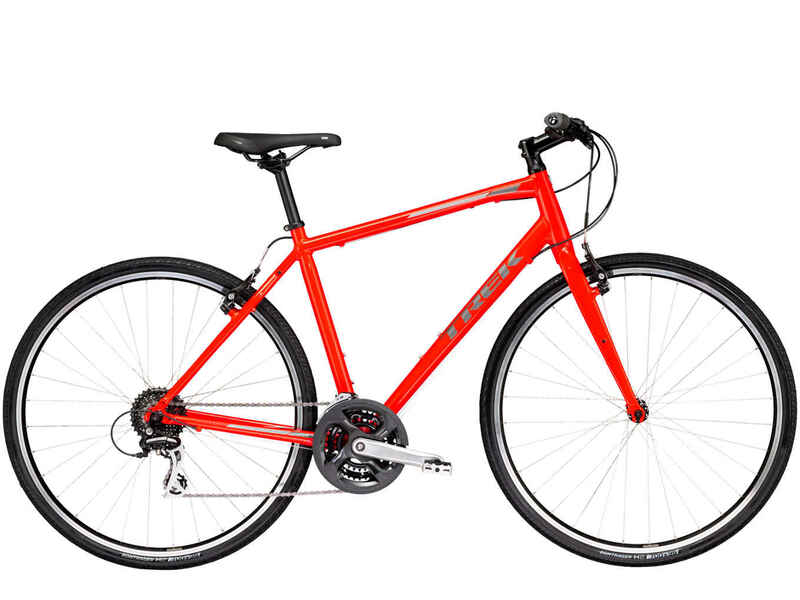 It is the perfect entry-level bike for any amateur cyclist or a perfect commuter bike for the experienced rider. Come check it out today at Scheller's Fitness and Cycling! I have a trek 720 built for touring.. I love the trek set up it's more lightier compared to my surly. I using a shimano xt drivetrain with Hope Hubs.